The present generation youths are fitness freaks, who love to have a good & attractive physic. Nisargalaya Proti Grow is a unique herbal formula, has natural body & tissue building herbs, thus helps to build the mass naturally. 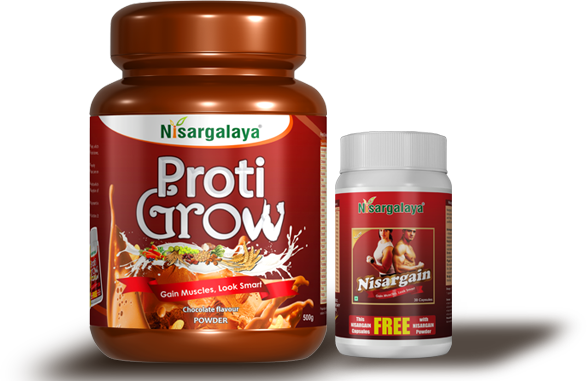 Nisargalaya Proti Grow provides the required balanced nutrition like protein, carbohydrate, vitamins & minerals apart from mass building herbs. 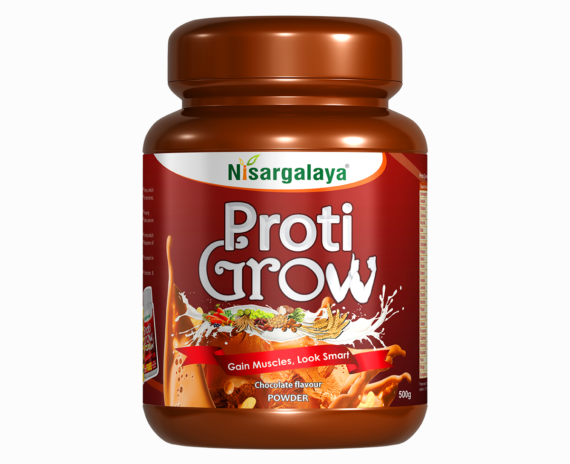 Ashwagandha, Musali, Gokshura, Vidarikanda, and Bala: Are strengthening herbs which increase the blood in the body and helps the body to nourish naturally Strengthens the bones, muscles and overall body. 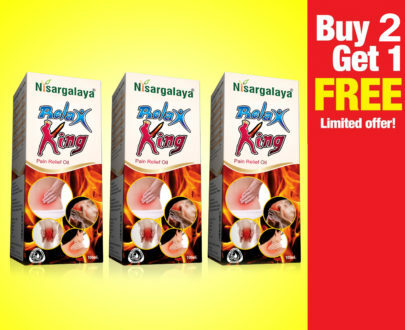 Godhuma, Yava, Mudga and Madhulika: Benefits in keeping the gut healthy and takes care of the overall health. 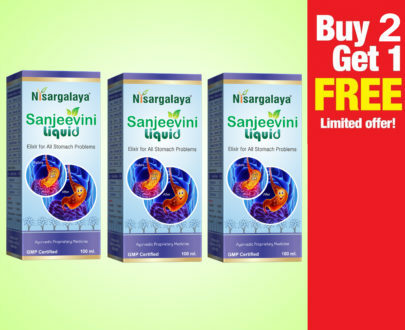 Pippali, Maricha, Shunthi, Jeeraka, Amalaki: Increase the appetite and correct the digestion. 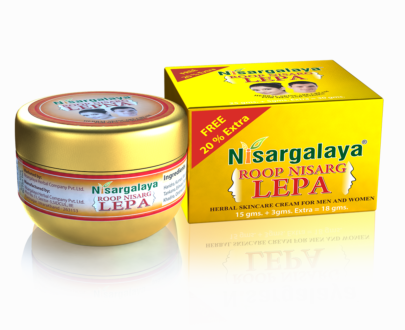 These herbs help in better absorption of nutrients in food. 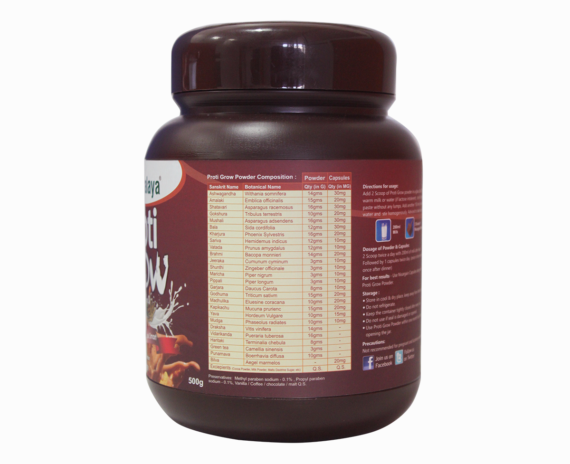 Kharjura, Vatada (Badam): Support the minor vitamins and mineral deficiencies in the body naturally. Badami: Strengthen the brain and its function. 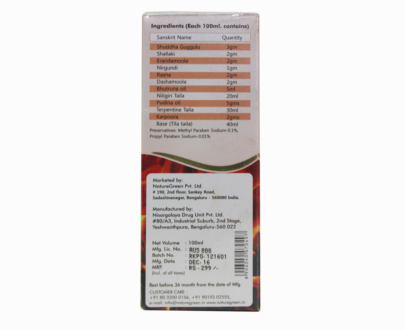 It corrects the regular hormonal imbalance. 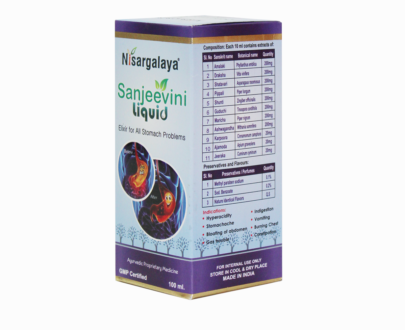 Sariva: Helps in eliminating the toxins out of the body. 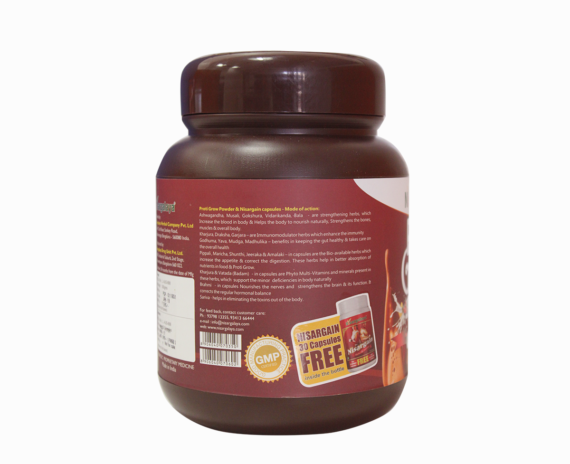 2 scoop with a glass of milk twice daily after food. 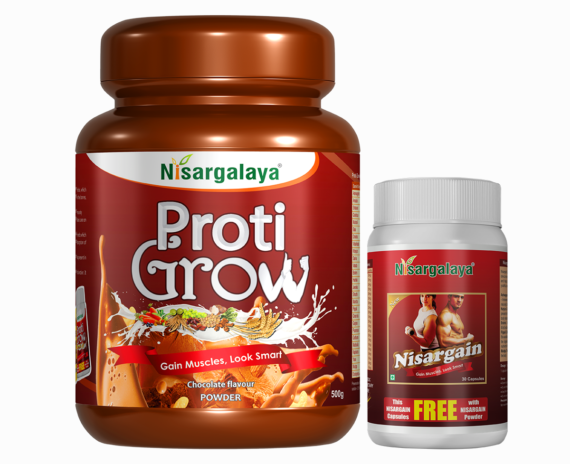 Nisargalaya Proti Grow must be consumed for a minimum period of 3 months to get the desired results. Results vary from person to person.